Each of the four Czech national parks is unique with natural phenomena, plants, and animals, but also with a rich selection of tourist and sports attractions. Admirable sceneries, historic buildings, sports experiences and a beach relaxing break, both busy and quiet and quaint sites are to be discovered in each of the four Czech national parks. Thanks to law protection, unique rock formations, and forests, full of life, create a lot of picturesque, romantic and mysterious places where you can relax and recharge. The oldest national park in the Czech Republic is situated in the northwestern area of the country. The Krkonoše Mountains are the highest mountains in the Czech Republic. It was declared a national park back in 1963. Thanks to its exceptional location in the center of Europe, it boasts an extraordinary diversity of flora and fauna. The Krkonoše National Park has many hiking trails covering all types of terrain, including sidewalks, accessible to visitors with reduced mobility, seniors and families with small children. It is up to you whether you admire the environment in lower altitudes or try to climb the highest mountain of the Krkonoše Park – Sněžka (5259 ft). Also, there are many tall observation towers and views of the entire national park, such as Černá Hora, also accessible by cable car. You can join hiking trips all year round. The location is a hub for enthusiastic cyclists and water sports fans (river rafting) in warmer seasons, skiers and snowboarders in winter. 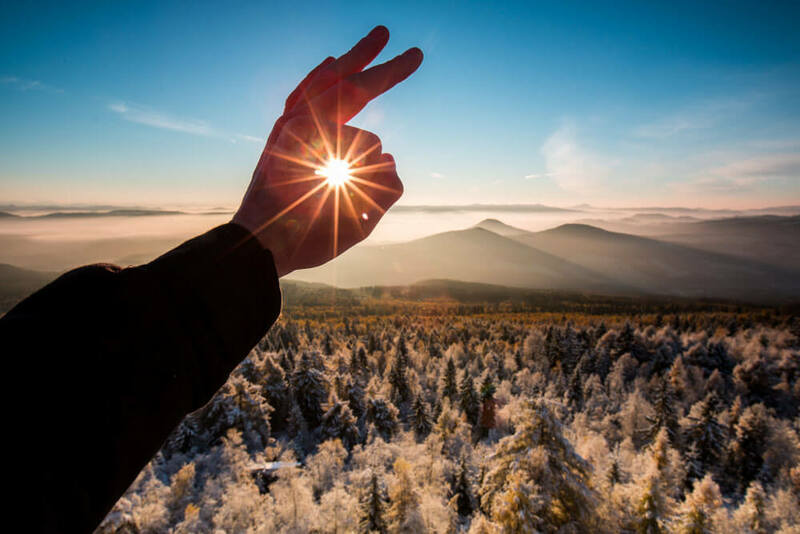 The charming natural scenery is also to be found in the largest national park in the Czech Republic Šumava located in the southwest of the country, on the border with Austria. Here you can almost touch the wilderness of Central European nature, walk through the dark spruce and wild beech forests, along with the ice lakes and peat bogs along the wild rivers. There are many endangered species of animals living here that hide from the civilization growing day by day. This is a place to be for you in summer if you like to stay nearby the water. You will experience the beach atmosphere with cozy comfort at the Lipno water reservoir. Try water skiing, swim or just sunbathe. And if you are tired of so much water and catching rays, cool yourself off with a good beer and taste traditional Czech cuisine in one of the restaurants. An exciting tourist attraction near Lipno is a footbridge within treetops and a nine-sided observation tower from which you can enjoy views of the peaks of the Alps or the Novohradské Mountains. 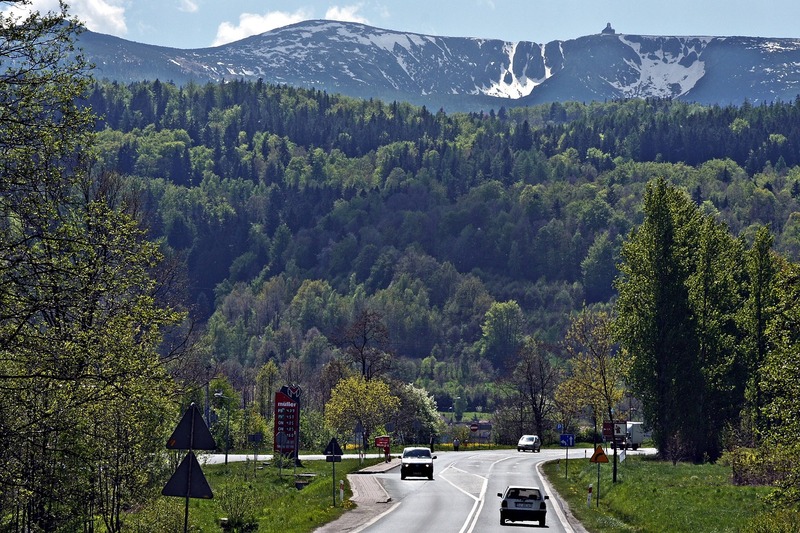 The highest mountain in Šumava is Plechý Mountain (4521 ft.), accessible from several directions. At your own risk, you can try the adventure route leading between standing dead trees. The surrounding area is dominated by the mountain Boubín, that gave the name also to the forest around where you will feel like in the wilderness, surrounded by hundreds of years old trees. Several information boards along the hiking trails introduce you to flora and fauna of these mysterious forests. National Park Podyjí is located between towns of Znojmo and Vranov nad Dyjí. It is part of the Bohemian-Moravian Highlands and Dyje-Svratka Valley. It is not part of alpine areas – the terrain is only slightly wavy, ideal for those who do not prefer to climb several hours uphill. But nature is also tempting to be explored here. Podyjí National Park represents one of the last well-preserved river valleys in Central Europe. This area boasts, for example, with the canyon of the Dyje River with high rock walls and deeply set meanders. On the way through the park’s hiking trails, you will see several historic buildings, such as Nine Mills (Devět mlynů) or Hardegg Castle. We recommend making a stop at Bítov Castle with a miniature contact zoo with the most extensive collection of stuffed dogs in the world. You can reach it from Vranov dam by one of the cycle routes, which are too many in the Podyjí National Park. For its mild terrain and exciting attractions, trips to Podyjí are also ideal for families with children. 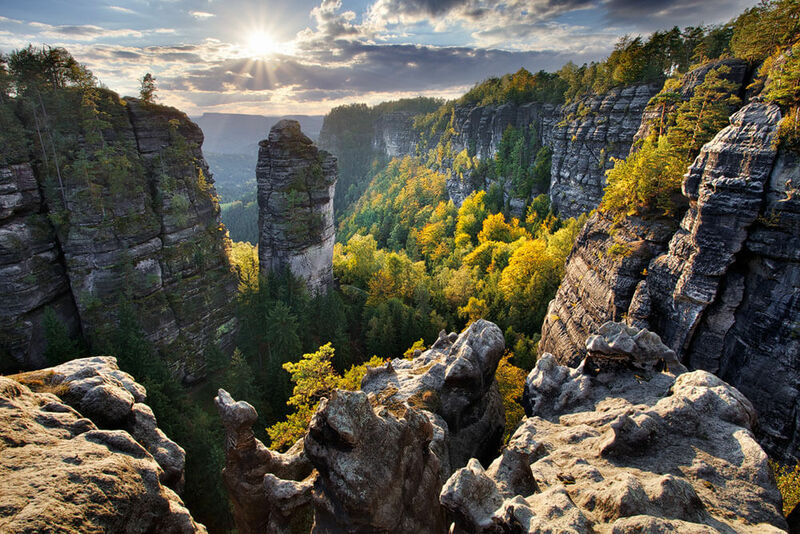 Bohemian Switzerland was declared a national park in 2000, to protect the unique sandstone formations and the nature they are surrounded by. The symbol of the national park is the majestic, 16-meter-high and 27-meter-wide Pravčická Gate. This rock formation creates the impression of a bridge built by humans, but its unique shape is purely natural. Huge dimensions make Pravčická Gate the largest natural bridge in Europe. In the past, this place was popular with artists who weave its beauty into their masterpieces. Unfortunately today, the hike to Pravčická Gate is forbidden because of its protection. However, there are other interesting sites in the area where you can observe its beauty. A favorite tourist stop is the Falcon’s Nest Castle (Castle Sokolí hnízdo), where you can relax in a cozy restaurant. Another frequently visited place of Bohemian Switzerland is Dolský mill (Dolský mlýn) located in the picturesque environment of the river Kamenice. At the present time, it is a special place especially for the locals, because the famous Czech fairy tale, The Proud Princess, was filmed here. Tourists from abroad are enchanted by their romantic and at the same time mysterious atmosphere of the historic building amidst the dense forest. You can also enjoy a boat trip on the Kamenice River, along with a professional and witty explanation of the guide. You will reach other remarkable masterpieces done by nature – the gorges Dolná and Edmundova. You can admire the beautiful rocky, narrow passages only from the boat – otherwise not accessible. 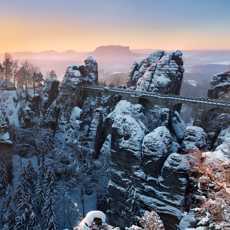 No less wonderful experience will be a trip to the river Elbe canyon, with a view of the deep abyss with a silver river from the Belvedere viewpoint. 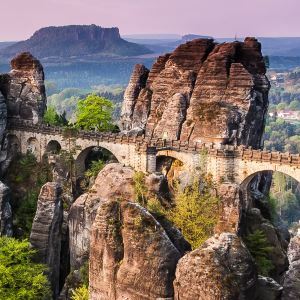 The Elbe Sandstone Mountains (Labské pískovce) offer a stroll through the rocky towns with bizarre sculptured rocks. They were built 85 to 100 million years ago at the bottom of the sea, just like the Tisa Rocks. By gradually layering of sands, and erosion, rocks were formed, creating a small labyrinth. 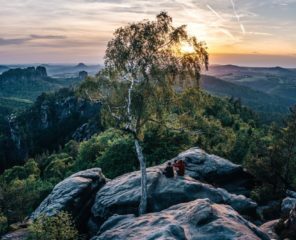 The Tisa Rocks offer several places in the heights with a beautiful view, for example, the Dresden lookout provides a breathtaking view of the mountains of Saxon Switzerland and, in clear weather, you can see even city of Dresden. Mountaineers, hikers, and cyclists will enjoy for sure the area of the Tisa Rocks. The surroundings of the Elbe Sandstones and the canyon offer accommodation in quality tourist cottages. 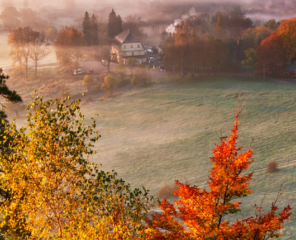 Wherever you go in Bohemian Switzerland, you will be surprised by fabulous cottages, unique pieces of local folk architecture that fit perfectly into the natural environment. Not only, but the park is also home to animals that have almost disappeared worldwide, such as lynx, otters, or beautiful butterflies. 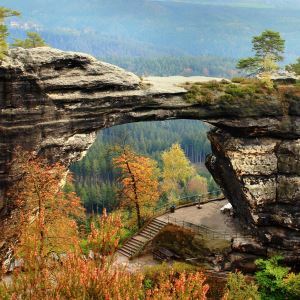 If you are staying in Prague, you can also spend one day trip in Bohemian Switzerland. It will take only 2 hours to get there, and we would be happy to accompany you. 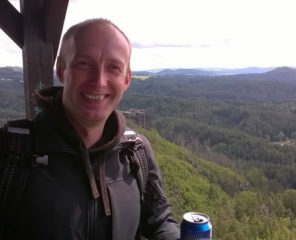 Check out our tours to Bohemian Switzerland.